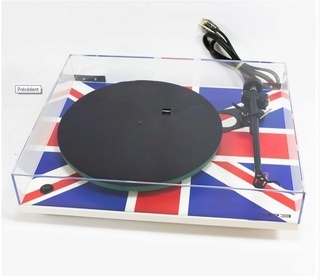 Rega RP3 Union Jack Edition Turntable With Rega Elys 2 Cartridge Brand New. Now Selling At RM3,219. Free Shipping Within West Malaysia. The multi award winning RP3 is the latest incarnation of the world famous Planar 3. Delivering serious performance at an unbeatable price, the RP3 guarantees to integrate into any hi-fi system effortlessly. The RP3 uses our lightweight high rigidity plinth design, a float glass platter, precision bearing and our unique double brace technology, all mounted with the hand assembled RB303 tonearm. The RP3 also benefits greatly from a low vibration, low noise, 24v motor that is hand tuned to its own circuit before fitting. This circuit is designed to minimise vibration transfer and maximise performance.You can also specify to have the award winning Rega Elys2 moving magnet cartridge, factory fitted (recommended). All of these features combine perfectly to extract more detail from your vinyl than ever before. The RP3 has been designed and engineered to achieve outstanding performance way beyond the expectations of a product at this price point. Excellent build quality, reliability and ease of use combine to make a product which, if used correctly, will offer a lifetime of musical enjoyment. 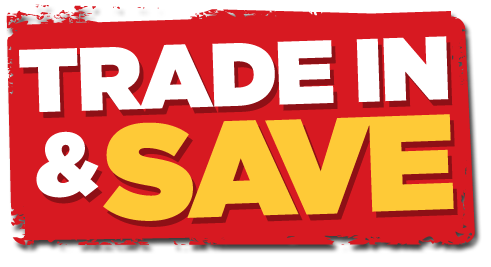 Omitting unnecessary gimmicks allows us to concentrate the manufacturing costs on the high quality parts necessary to reproduce records accurately. The RP3 is fitted with a brand new hand assembled RB303 tonearm, precision main bearing and a low vibration low noise 24v motor assembly which is individually hand tuned to its circuit to further reduce vibration. "Mass absorbs energy - lost energy equals lost music"! 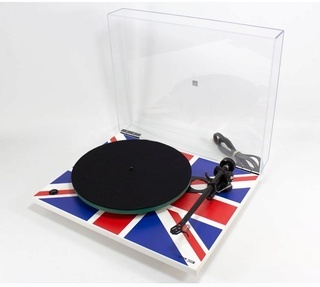 Rega has pioneered the use of lightweight rigid plinths. Clever use of lightweight particulate core with a highly rigid phenolic resin skin became the foundations of the high level of performance achieved by the now iconic Planar turntable range. The RP3 takes this design philosophy to the next level. A super lightweight plinth combined with a phenolic resin double brace mounted specifically where the increased rigidity is required (between the tonearm mounting and the main hub bearing) forms a structurally sound "stressed beam" assembly. This rigid plinth design prevents energy absorption and unwanted resonances which will add unnatural distortions to the music. Equally, heavier mass can transfer more unwanted energy such as motor or bearing noise directly into the rotating record. The use of braces instead of the complete skin allows double thickness phenolic resin in these key areas while providing further weight reduction to the plinth which directly addresses the issue of mass absorption and unwanted energy transmission. Designed using the latest 3D CAD & CAM technology the new RB303 is the culmination of more than 30 years of tonearm design experience. Due to advances in technology we have been able to fine tune the iconic RB300 tonearm design. Featuring a brand new tube with increased rigidity to the bearing housing, arm carrier and headshell coupled with intelligent redistribution of mass ensure this arm will exhibit fewer points of possible resonance. Extreme stability with almost friction free movement from the high precision bearing assemblies guarantee to gather more information from your vinyl than ever before. The Rega Elys 2 is a Moving Magnet cartridge that uses uses an elliptical diamond stylus. Offering outstanding sound quality, this cartridge is highly recommended for any turntable, but is the perfect choice for your Rega turntable! Recent developments in coil winding techniques have allowed Rega to use their innovative parallel wound coil in the Elys 2. This technique uses approximately one third less wire than previous models, thus producing a more efficient and reduced mass cartridge.